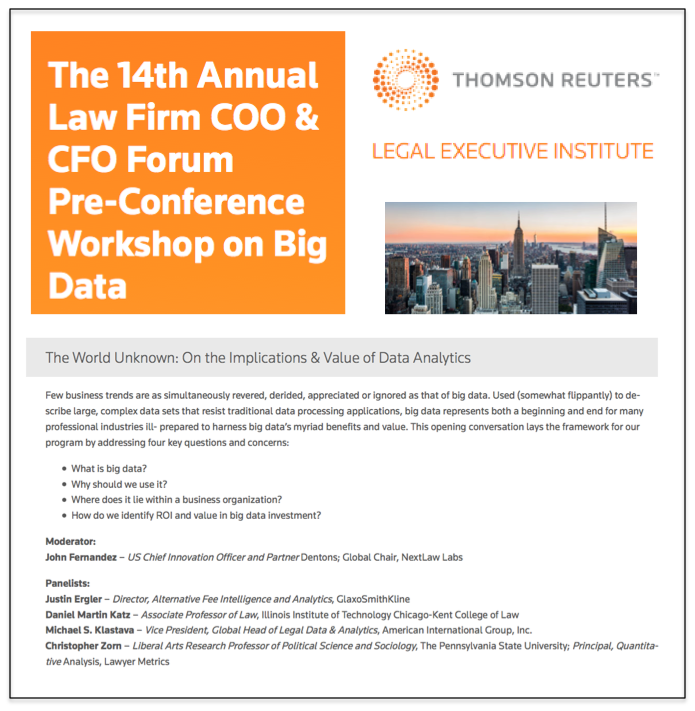 Yesterday I had the pleasure of participating in the Thomson Reuters Law Firm COO & CFO Forum Pre-Conference Workshop on Big Data. The half day workshop explored various way that law firms and outside counsel can use data to be better lawyers and run better businesses. Here is the information for my panel (below) and the full program is located here. Where does it lie within a business organization? How do we identify ROI and value in big data investment? 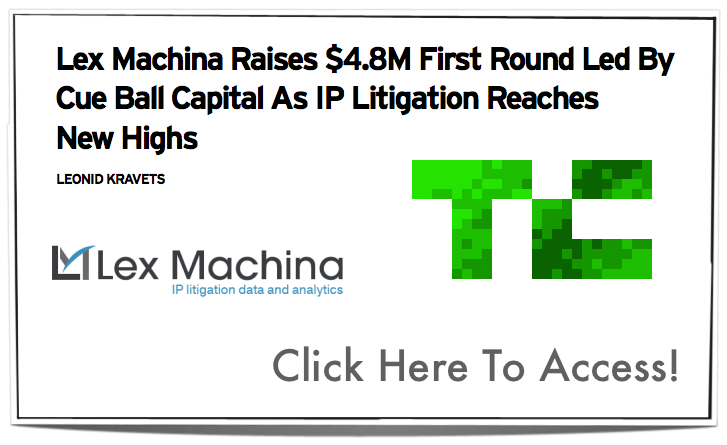 Michael S. Klastava – Vice President, Global Head of Legal Data & Analytics, American International Group, Inc. 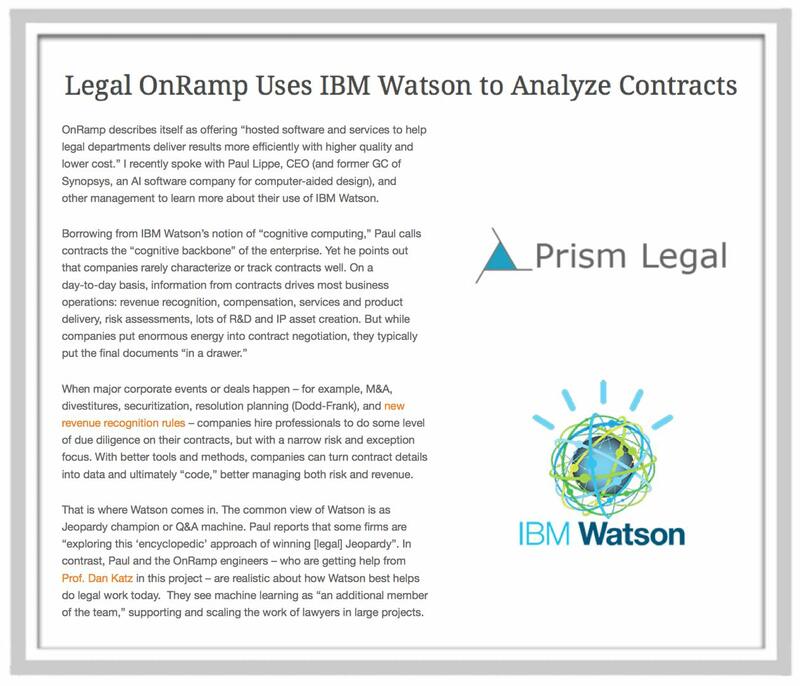 Pretty useful summary which is something we try to teach our students in our Legal Analytics Course (which could really be called Machine Learning for Lawyers). 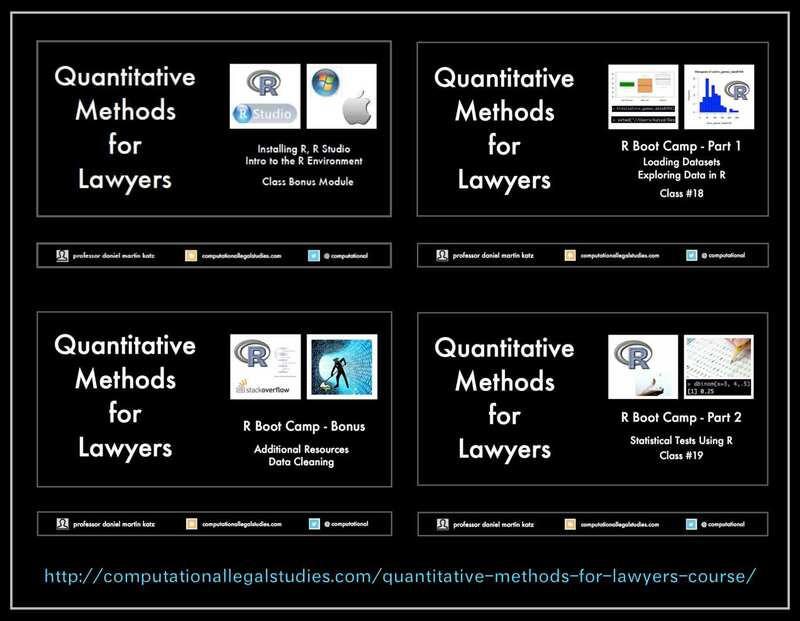 BTW – For those of you who emailed us, we promise to fill out the balance of the set of free, online Legal Analytics course materials in the coming months. While its performance is sometimes problematic for some extremely large data problems, R (with R studio frontend) is the data science language du jour for many small to medium data problems. Among other things, R is great because it is open source, hyper customizable with thousands of packages available to be loaded for a specific problem. While Python and SQL are also important parts of the overall data science toolkit, we use R as our preferred language in both Quantitative Methods for Lawyers (3 credits) as well as in our Legal Analytics course (2 credits). We have found that students who are diligent can make amazing strides in a relatively short amount of time. For example, see this final project by Pat Ellis from last year’s course.